Posted under Parents' Articles. Updated 29 August 2016. If your daughter is unable to take estrogen or if she does not respond to combination (estrogen and progesterone) pills, her gynecologist may prescribe a progestin–only hormonal pill such as norethindrone acetate (Aygestin®, Nor–QD®, or Camilla®) or medroxyprogesterone acetate (Depo–Provera®). These medicines stop a woman’s body from ovulating and the endometriosis from growing. Most teens will not have a period. Taking synthetic (man–made) progestin medication in this form is very similar to the natural progesterone that is made by a woman’s body after ovulation and during pregnancy. Are there any reasons why my daughter might not be able to take progestin–only hormone therapy? There are certain circumstances when progestin–only hormone therapy may not be prescribed. 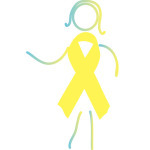 The GYN team should be informed if your daughter is currently being treated (or has been treated in the past) for any other medical condition(s) in addition to endometriosis, including epilepsy (seizures), migraines, asthma, heart or kidney problems. Progestin–only hormone therapy is never prescribed while a woman is pregnant, or if she has cancer, unexplained vaginal bleeding or severe liver disease. You should also tell the team if your daughter has diabetes, high blood pressure, high cholesterol or if she has been diagnosed with depression in the past. Are there any side effects we should be aware of? Most teens and young women have little or no side effects while taking progestin–only medication. Possible side effects can include breakthrough bleeding or spotting, changes in weight, acne, breast enlargement, feeling bloated, headache/migraines, nausea or vomiting. There is a possibility of bone density loss (thinning of the bones) with Depo–Provera®. Hormone medications can affect people differently. Some teens/women will have irregular bleeding while taking progestin–only hormone therapy, especially during the first 6 months of treatment. Breakthrough bleeding is less common with long–term use. How is norethindrone acetate taken? How is Nor–QD® or Camilla® taken? These progestin–only medications come in a pill pack like regular birth control pills. There are 28 active hormone pills in each pack. How is Medroxyprogesterone acetate given? Medroxyprogesterone acetate (Depo–Provera®) is an injection that is given in a muscle (in the buttocks, arm, or thigh) every 3 months. The first shot is usually given within the first 5 days of the menstrual cycle. A routine urine pregnancy test is typically done prior to starting the medicine. The next injection is scheduled within 11–13 weeks. In addition to being as effective as other hormone therapies that treat endo, progestin–only hormonal therapy protects against pregnancy but NOT sexually transmitted infections (STIs). We tell young women who are sexually active to always use condoms.